Though his time at Rikers Island just ended last week, raspy-voiced rap superhero Lil Wayne narrowly dodged a T.I.-like scenario for a 2008 Arizona drug and gun arrest that could have put him back behind bars. Wayne made the right choice by pleading guilty in the Arizona case, as he will just have to serve 36 months of probation and 360 hours of community service. AllHipHop reports that Weezy appeared before a Yuma, AZ judge on November 5, pleasing guilty to one count of felony possession of a dangerous drug. 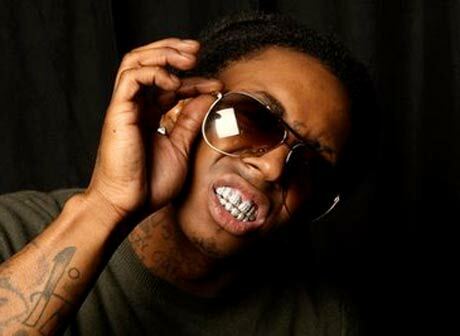 The additional drug charges and a gun charge were thrown out of court, and Wayne was handed his sentence. For Wayne, the worst part of this sentence is that he can't drink or consume any controlled substances for the next three years. While his probation is classified as "unsupervised," he will have to complete random drug and alcohol tests throughout the three-year period. Wayne is also forbidden from associating with any criminals. A sober Lil Wayne who doesn't hang out with the bad guys sounds like an entirely different persona than the rapper we've grown to love. Hopefully a clear mind and a circle of clean-cut friends won't have an impact on his next recordings. The last thing we need is for Lil Wayne to become a socially conscious rapper.